Each textbook includes a CD-ROM in the back of the book that contains Chapter Quick Quizzes®, an illustrated Glossary, Flash Cards, Media Clips, and related web links to educational resources. 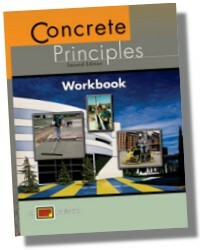 Concrete Principles Workbook is designed to reinforce information presented in the text. 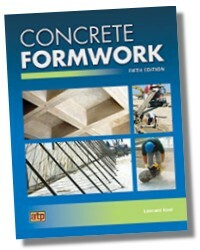 Each chapter in the Workbook covers information in the corresponding chapter in the text. 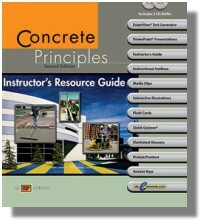 The Concrete Principles Instructor's Resource Guide is a valuable instructional tool designed for training in group settings. The Instructor's Resource Guide also includes a CD-ROM with interactive illustrations of all the figures from the textbook and web links to valuable instructional resources on the Internet. This truly is a complete instructional package for teaching concrete principles.